Defense Grid 2 Up for Pre-order - Can It Raise the Tower Defense Bar Again? When Defense Grid: Awakening launched in 2008, it sort of defined the path for what a great tower defense game could be. 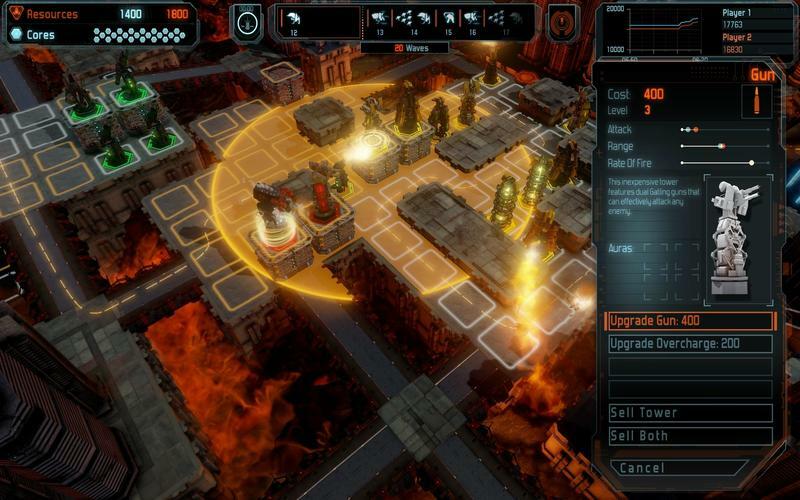 Rather than just placing a ton of towers at choke points and watching enemies melt away, Awakening forced players to be more deliberate and strategic. In 2012, Hidden Path took to Kickstarter in order to raise $1,000,000 for Defense Grid 2. That crowdfunding campaign missed its goal, though the studio was able to take some funds and produce an add-on for the original game. Fast-forward a bit, and you'll learn that Hidden Path eventually got help from the likes of 505 Games, and Defense Grid 2 was slated for an actual release. That launch is nearly upon us, and Hidden Path has just opened up the Steam pre-order reward tiers in order to spread the word, gain some funds and sell copies of the game. Pre-order the game with a 10 percent discount right now and you'll get a beta version of the game to play on your Windows PC immediately. The press release expands on what happens if more folks pre-order. As more people pre-order, additional incentive tiers will be unlocked, including the original Defense Grid digital art book, a free copy of the Containment expansion to Defense Grid: The Awakening*, and much more. I've got a soft spot for tower defense titles, especially good ones, so this is on my radar. We'll have more on Defense Grid 2 as it comes.